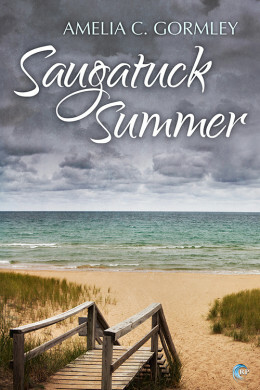 I chose to read this one for the summer theme, the tough coming of age story and the opportunity to read another book by an author I liked. I confess that I did hesitate because I knew it would be angsty and I knew that cheating was part of the story. In the end, I was curious enough to see where the story would go. The story opens when almost twenty-one year old, Topher, accepts, Mo, his best friend’s invitation to stay at her family’s beach house for the summer so that he can save money on rent, practice his swimming to stay on the team and keep his scholarship, and hopefully find a job to save money for his next semester at university. Things don’t go quite as planned leading to an interesting summer. 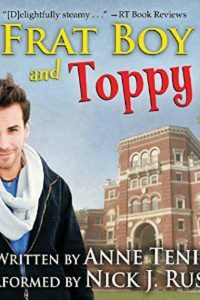 Topher’s big birthday is spent with a guy named Jace who gives him a good experience, but says stuff that challenges Topher in the same way Mo does on occasion when Topher gets stuck in his own head. Jace was just a one night thing that Topher does have lingering memories over. Mo spends most of the time working at a summer camp as a counselor coming down to the beach cottage on weekends and her dad, a university professor, comes to work on a new text book. Topher gets a crush on Mo’s dad, Brendan, but resists for a while especially because he knows the man is off limits in more ways than one. Then Topher gets a shock when the attraction is reciprocated during a moment of comforting that morphs into something more. They have the affair that results in Topher leaving the cottage to stay with his employers because there is no where else and he waits for Mo to discover the truth and hate him. In the meantime, Jace returns into Topher’s life and Topher has a chance at more if he can just open up past his hang-ups and fears to take what Jace is offering. The story is told first person in a private diary-style that gives the reader complete access to Topher’s mind and actions while leaving everyone else, even key players, at a slight distance though the narrative was done in a way that what they thought and did was easy to see. The story is entirely character-driven and did drag in spots when Topher got caught up in his own head for long periods of time. Being inside Topher’s head was exhausting at the best of times even while at the same time, I found it fascinating. The author did a wonderful job of creating a character with depth who was endearing, irritating and flawed. My heart went out to this guy because it would have taken a miracle for him not to be messed up by the emotional abuse and stuff he dealt with growing up with. He got a steady diet of disapproval and shame because of his flagrant personality and temperament. He was always the fish out of water. There was not one person in his life to champion him or love him until his friend Mo came along. With that in mind, I feel guilty admitting it, but to be truthful, Topher was a bit much for me. I kept telling myself that he was only 21 and he had issues. That only took me so far with his self-absorption, but at least he owned to it. Jace was interesting and enigmatic much of the time. He was a bit older and a lot more put together, but he had come through the fire and it tempered him. Jace’s past made him one of the few people who could actually reach Topher and ground him. Topher couldn’t push him away like he did others by whipping out all his cray-cray and almost daring someone to try to understand or deal because Jace could match it in many ways even while proving to Topher that dreams, desires, and self-worth were well within reach. It also doesn’t hurt that Jace is passionate and turns Topher’s world upside down with some truly hot encounters. Oddly, another character really got my attention and it was Mo’s dad. He’s not a person to admire necessarily, but yet his side story was interesting too. He starts out just trying to understand and befriend his daughter’s best friend and the support and companionship he was offering suddenly led to more than he was ready for. He had a sexual orientation crisis late in life and he screwed up bad when it hit him by having the affair with Topher and because it was late in life, it affected other people. The story’s focus is Topher and the affair brought down my estimation of both Topher and Brendan, but still I liked that Brendan really tried to be Topher’s friend and make him see that he was worthy. So in the end, I can’t honestly say that I enjoyed the story, but it was engaging and worth the read. I do love this author’s writing and would read more of her work. 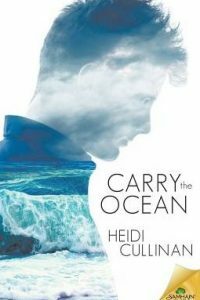 I would recommend this story for those who like m/m contemporary romance and enjoy reading about a not so easy character. My thanks to Riptide Publishing for the opportunity to read this book in exchange for my honest review. whoa..you mean her dad slept with her friend who is gay? wow. So is the father gay or is he not sure?…. Quite an interesting read Sophia. That’s just it, the dad didn’t know he was gay or bi until Topher so it was big time freak out moment. Poor guy got a shocker there even more than all the freaking over the fact that they were cheating. Exactly, I hit the cheating and wanted to slap the book closed because I hate cheating, but the fact that they fell into it and then there was the shocker on the dad’s part that he had a thing for a guy who was his daughter’s BFF? I had to see what happened. Still don’t like the cheating, but the story sure was something else when it came to how it affected me as a reader. I can definitely see how no one will be indifferent to this one.